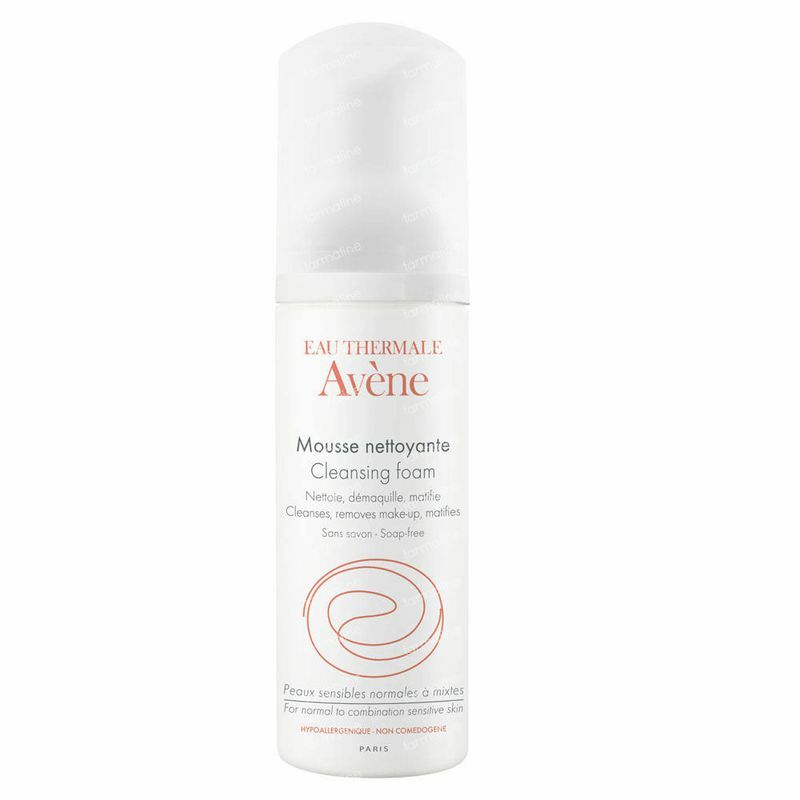 Avene Cleansing Foam 150 ml order online. The gentle soap-free cleanser helps regulate excess oil and removes make-up leaving skin perfectly matte. Paraben-free. Cleansing foam for face and eyes specifically formulated for normal to combination, sensitive skin. The gentle soap-free cleanser helps regulate excess oil and removes make-up leaving skin perfectly matte. Paraben-free. Apply the product to your face (wet or dry). Massage with fingertips, paying close attention to the T-zone (forehead, nose, chin) then rinse thoroughly. Dry your face gently. For best results, use morning and night in combination with the Mattifying Fluid. AVENE THERMAL SPRING WATER (AVENE AQUA). WATER (AQUA). SODIUM COCOAMPHOACETATE. SODIUM COCOYL GLUTAMATE. LACTIC ACID. CITRIC ACID. DISODIUM EDTA. FRAGRANCE (PARFUM). GLUTAMIC ACID. PROPYLENE GLYCOL. SODIUM BENZOATE. SODIUM CHLORIDE. A nice cleansing foam, still somewhat firm. The skin gets cleansed properly yet doesn't feel stripped. A nice big bottle and no allergic reaction.